My first contact with Karuna Sessions came through a colleague in Pennsylvania. From the moment I stepped into their cottage I began to soften; my muscles eased and touch receptors surged. The non-sexual touch, inviting scents, and atmosphere was all very welcoming and they lavished me with the type of touch that I requested. As I nestled into myself, my body was alive and awake free of the shackles of obligation and responsibility. As these two lovely souls held me I sunk into a cloud of marshmallows, soothed in ways that were sporadic in my own life. Thank you ladies for the gentleness and kindness you brought to my soul! I had my first Karuna session during a time of deep personal loss and sadness. The recent passing of a loved one and dealing with the ongoing issues of aging parents had a left me emotionally drained and adrift. The loving energy and warmth conveyed to me was restorative and healing, so much so that I returned for a second session a few days later. The experience was a thoroughly delightful rejuvenation. I am a nervous type of a person, but as soon as I entered the door I felt at ease. They have created an environment that is very soothing and calming. … The best part was cuddling with them both and me feeling they really cared about me and what I am going through. I highly recommend a session with them. I have a six-year-old that occupies that space in my life. Being nurtured in a safe loving way opened my eyes to how much I need to be taken care of, at least on occasion! The first thing I noticed with my Karuna Session was a beautifully warm and inviting scent in the room. Then two lovely women dressed in soft fabrics and soothing colors opened their hearts and arms to me. I surrendered and allowed myself to be taken care of completely. I felt so safe! The entire time all my senses were pleasured. By the end of the Karuna Session I was totally satisfied and renewed. Warning: this is addictive!!! I am a breast cancer survivor and really feel that anyone going through treatment could benefit from a Karuna Session. Immediately upon arrival I sensed that this was a safe space where I could let the worries of the day go and just relax. The love, acceptance, caring and compassion I received reminded me of how I felt when I was a child in my mother’s arms. I felt as though I was a beautiful goddess, loved and worshipped. They took care of me the whole time I was there. This is NOT a SEXUAL experience but a sensual one; it seems to me that the best way to get the most out of this type of session is to let yourself go and TRUST you are in a safe space – which you ARE! Women going through cancer often feel anything but beautiful, extremely stressed, and tend to lose themselves in their illness and/or treatment. As a survivor, I know the importance of taking time for yourself. I personally can’t think of a better way to care for yourself than to allow these women to provide this type of nurturing, mothering, tenderness and love to you. Take my word for it, you will be SO GRATEFUL!! At first I was unsure about what the goal of these Karuna Sessions were, but after I completed them I realized the integral importance of touching within our biology. Never has my skin felt so awake. There’s definitely a science to what these ladies are doing here, and I believe what they are on to could have curing powers for many people who are isolated from consistent social interactions. When you find an opportunity like a Karuna Session, and you choose to follow it, maybe you show up at the door feeling a little nervous, or jaded or maybe just hopeful. Keep an open mind and as you enter into the space of the session – you will figure out how to relate to the experience. In the end, it’s not ACTUALLY about the space or the folks running the session. Instead, it’s ACTUALLY whatever you make it to be. If you can relax, open and allow yourself to feel nourished as the time progresses – then you’ll see the value in this work. 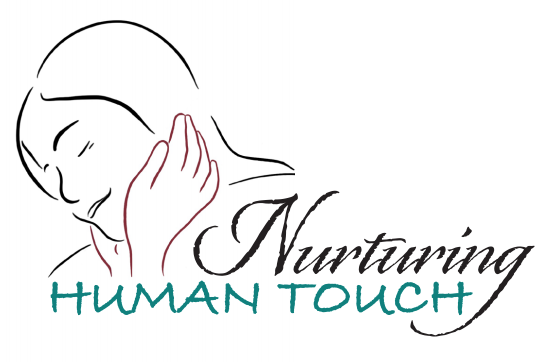 YOU create the experience of being nurtured. Or not. Such a wonderful feeling of support and connection is possible through this experience. If you stay uptight and skeptical, with your guard up – you’re just going to think the whole thing is strange. It’s up to you. I say go for it. My Karuna Session was an amazing, nurturing and fulfilling experience. The level of nurture and sensuality along with safety and respect provided a perfect environment for great personal growth. The awareness of the Great Mother in all of us was greatly transferred through this process and I would hope that many people can explore and heal through this exceptional act of giving and nurturing, mixing mind, body and spirit. I was really nervous when I arrived, but they really put me at my ease. I was so relaxed after the session, my wrists, which I had stressed turning wrenches at work, didn’t hurt for several days. I was nervous as knew nothing about what was to happen – but I do trust them so I bravely showed up and never regretted that decision. I would equate it to a geisha experience – which is a non-sexual experience being very pampered by two very present women. Will I go again – YES….now that I know what to expect I can settle into receiving that motherly caring space I miss so much as lost my mother over 20 years ago. What can I say about the session with these nurturing souls? They pamper you and envelop you with a calming energy. For me getting close to sensual women without sexual overtones is difficult – but that energy never showed in this session. I felt soulful embraces from a nurturing aspect – mothering if you need a label. All in all, a great experience.